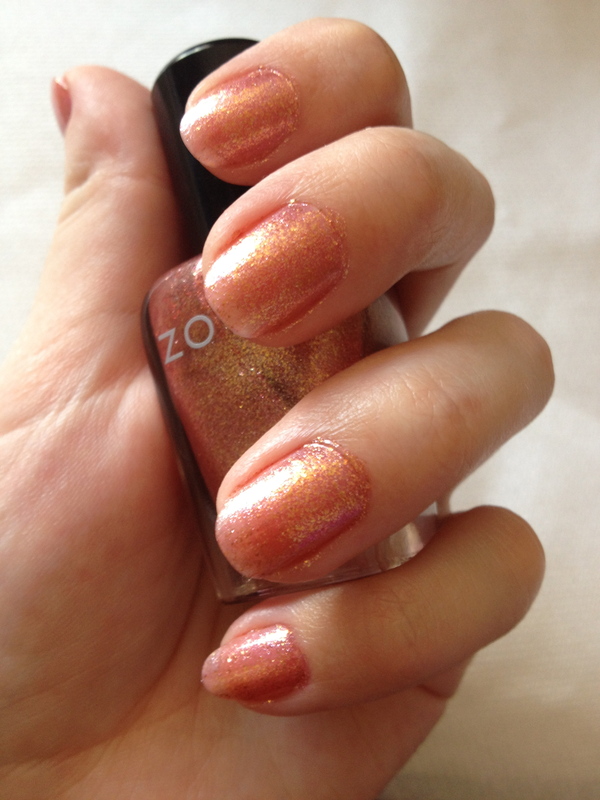 Zoya was already creeping up my list of favorite brands, and now I have to admit it. Tiffany was everything i wanted it to be and more. I absolutely love what Zoya does with its foils and this feminine color perfectly captured how I was feeling about the beginning of Spring. 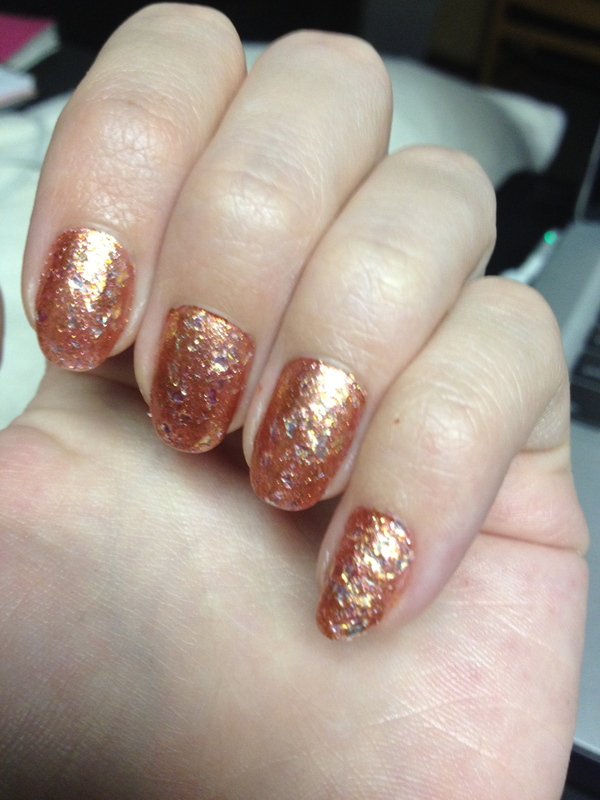 And, as it was the week leading up to the hunger games, I couldn’t resist adding a coat of China Glaze’s Luxe and Lush on top! I loved Tiffany by itself, but Luxe and Lush made this girl even prettier! 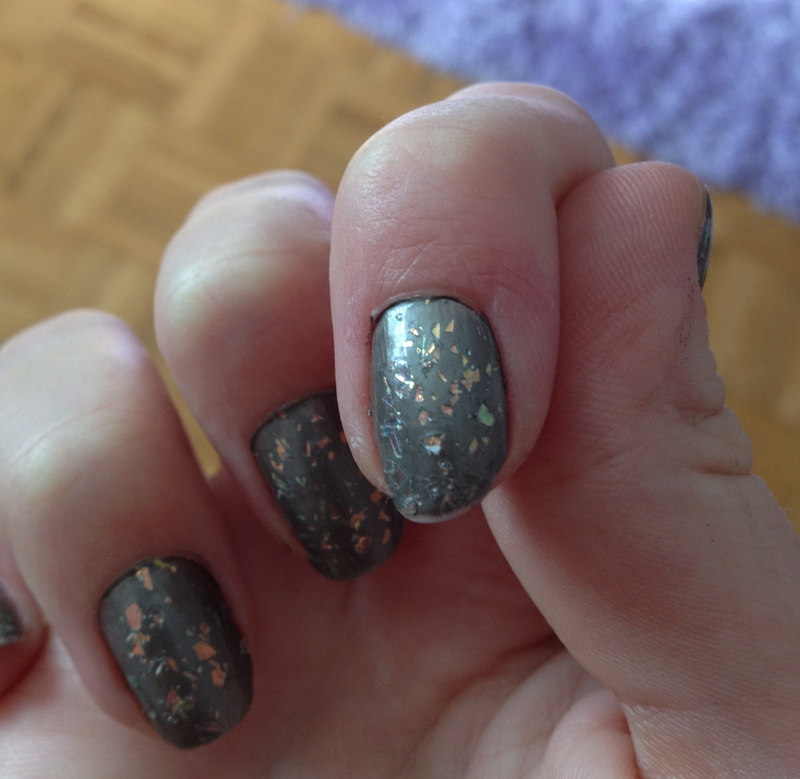 It’s taken me a while to continue with the Hunger Games polish swatches, but here’s my next one: Dress Me Up. 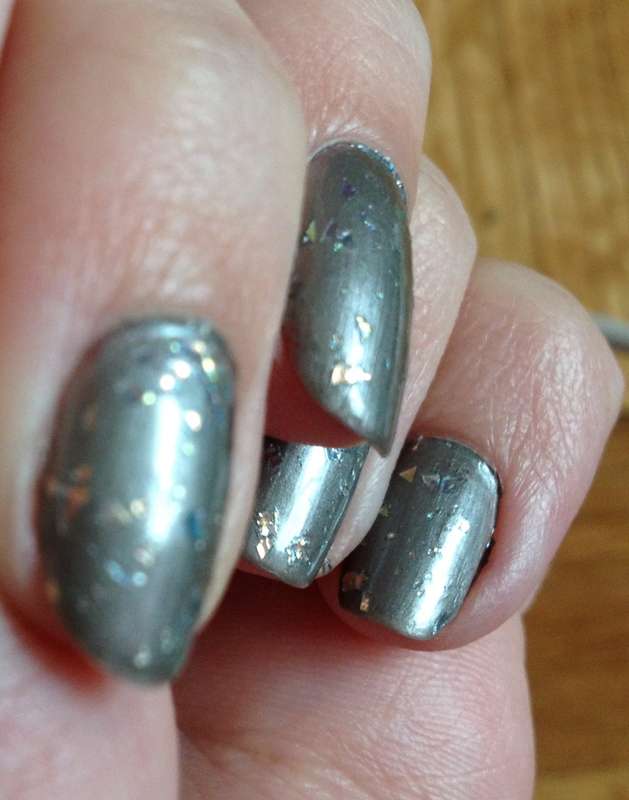 I have to admit that I didn’t have very high expectations for this polish. I just bought it because I have an affinity for soft pinks and neutral shades, but I ended up liking it a lot more than I thought I would! 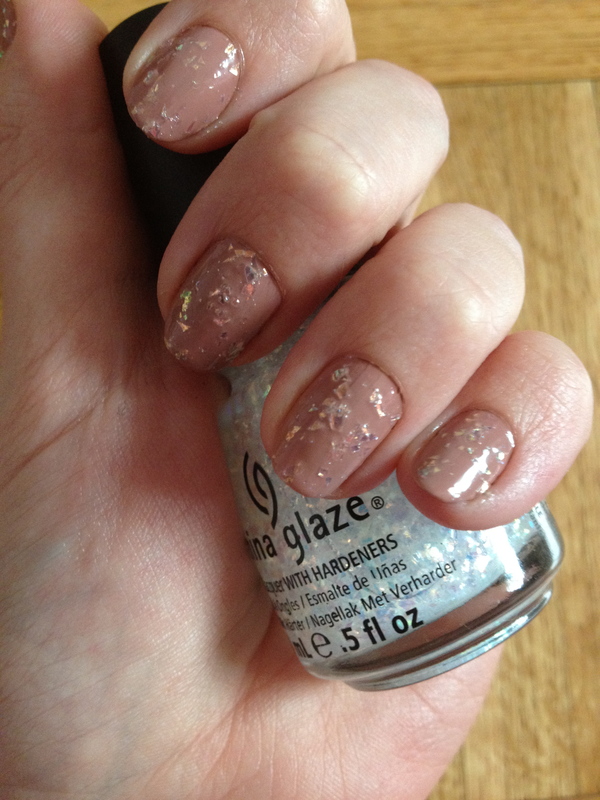 Described by China Glaze as “a stripped down dark rose pink creme,” Dress Me Up definitely reminds me of Prim. Somehow, it’s supposed to represent District 8 (Textiles) but all I can think of when wearing it is of Prim’s sweet, demure demeanor. 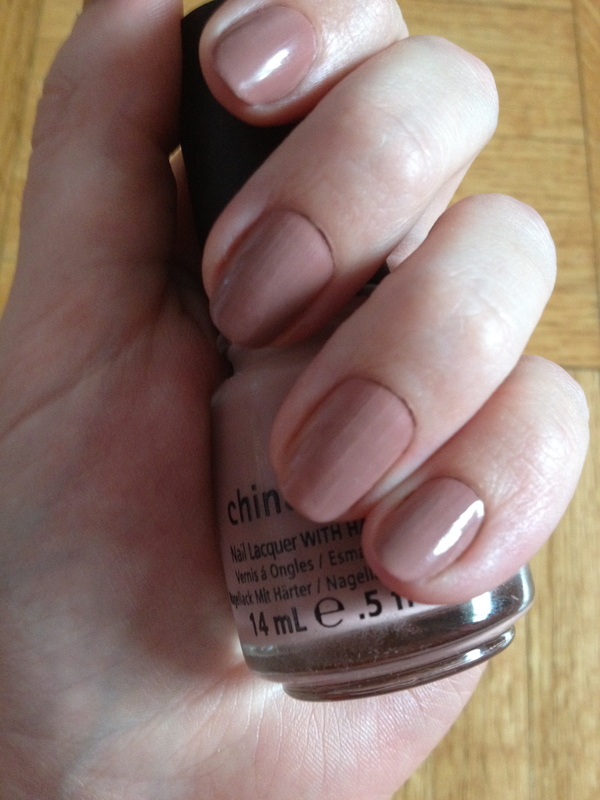 This color actually tricked me a couple times, looking a little more beige than pink. 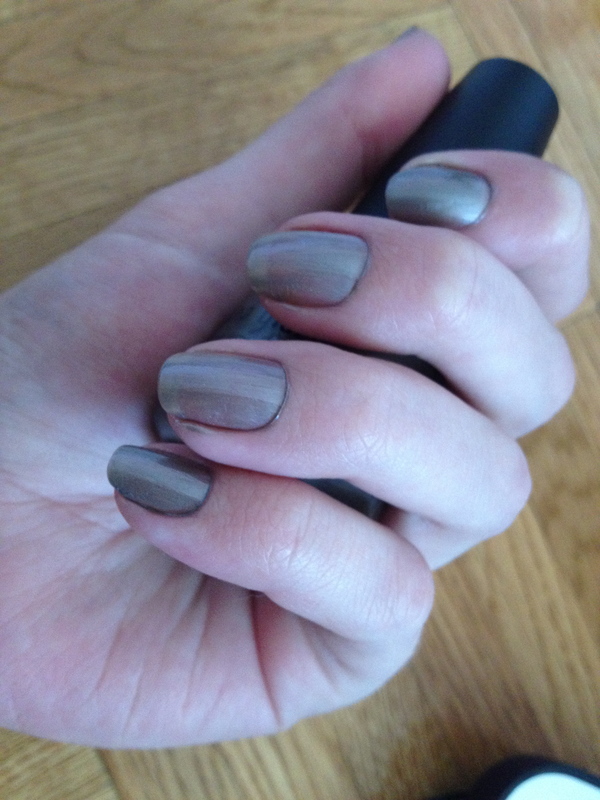 I guess I was expecting a more gray toned pink but it kept reminding me a bit of OPI’s San Tan-Tonio. In reality, it is much pinker than in the above picture, though it definitely depended on the light. Sometimes it looked like my nails were the same color as my skin and other times I felt a bit like Barbie it was so pink. I also had to try it with a coat of Luxe and Lush on top, obviously. I didn’t really like the combination of the two, as I thought (despite it’s name) that Dress Me Up was a more subtle color and didn’t quite connect with the glitzy look of Luxe and Lush. In the end, I would say I was very pleasantly surprised by Dress Me Up. It’s subtle enough to wear anywhere or with anything, but still managed to make me feel very pretty! My Hunger Games polishes finally arrived! From Left to Right: Agro, Fast Track, Luxe and Lush, Dress Me Up, and Hook and Line. I had the most difficult time deciding which color to try first! I eventually went with Hook and Line because I wanted to compare my experience with those from other bloggers who have reviewed the color. I obviously also wanted to test out Luxe and Lush, as it was one of the colors I was most looking forward to. 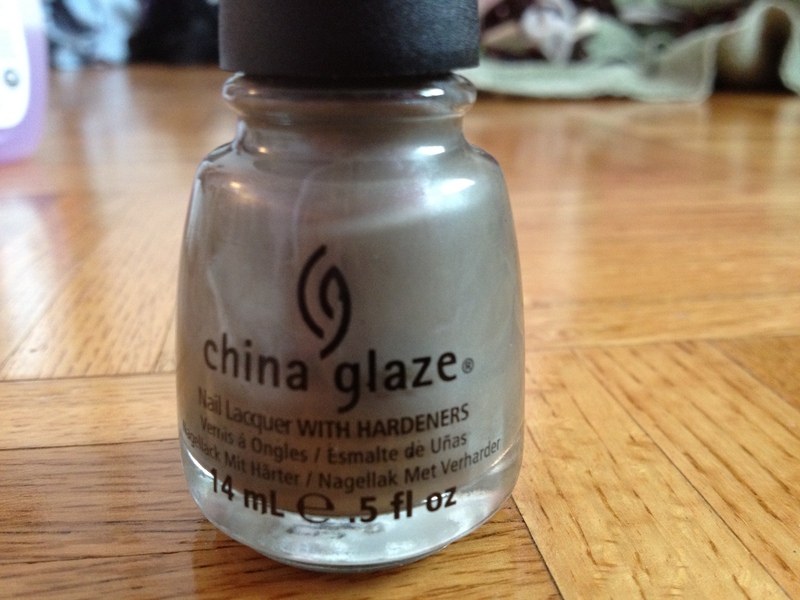 China Glaze describes Hook and Line as a “Pearlescent light grey,” while All Lacquered Up describes it more as a “muddied, pewter metallic” color. I’ve read a few reviews that complained about this color’s watery consistency and streaky quality when applied to the nails, so I wanted to test it out and see how my experience compared. I can definitely understand the other reviews commenting on it’s watery nature. At first I wasn’t sure there was actually any color to the polish! I could also see some streaks forming, but I gave it the benefit of a doubt and tried another coat. 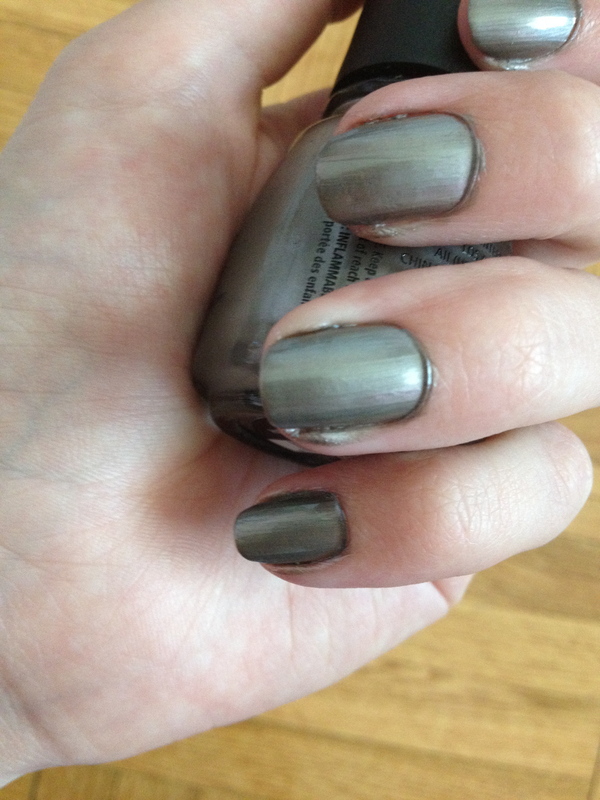 I actually really liked the result of Hook and Line when I used two coats. Yes, it was streaky, but I felt like that added to the metallic quality of the color. As this is the color representing District 4 (Fishing), I think it does it’s job of reminding me of a fishing hook. I do like the color by itself, but I feel that it’s more of a wintery color on it’s own. I then added Luxe and Lush on top, and boy was it fun! I had a little trouble at first with consistency (as you can probably tell from the difference in thickness on my pinky and ring finger versus the rest). However, once I got the hang of it, I loved the result! 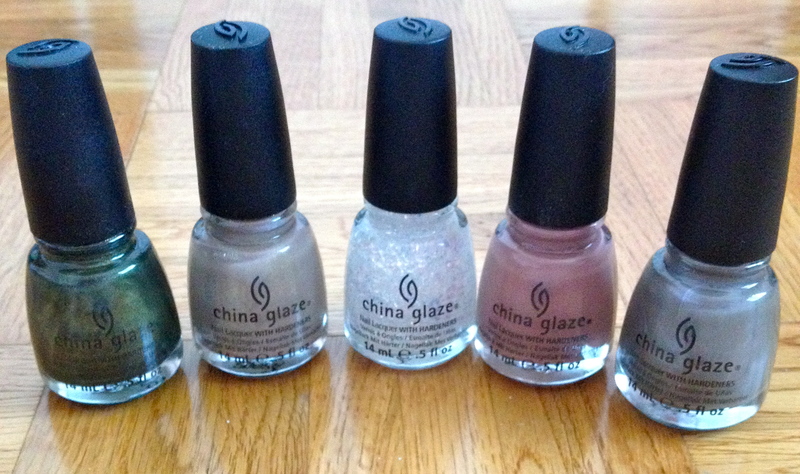 China Glaze describes Luxe and Lush as “A high octane flaky overcoat” and that it is! It definitely reminds me of shards of glass, reflecting different colors of light depending on what angle you look at it from. I tried to get a close-up, please ignore my awkward finger positioning. One thing that puts me off a bit about this overcoat is what its effect was on Hook and Line. I’ve had two people describe Hook and Line as a clay-like color when I showed them the final result. It definitely looked less streaky with Luxe and Lush on top. I’ve also noticed a bit of cracking in both polishes around the flakes, but I’ve only had this manicure on for about twelve hours. UPDATE: I tried again to get a picture of the strange cracking in the polish, as well as a picture of the wear on some of my fingers. The longer I wore it (and I only kept the color on for about 2 days) the more cracks there were. Over all, I love both colors and the combination of the two. While I was wary of Hook and Line at first, I think the streaky quality it has works to its benefit. I’ll be posting the other colors later this week! Feel free to share your own experiences with these colors too! For my birthday (back in December) my mother gave me OPI’s Muppets Collection. Being the sparkle-a-holic that I am, I had to test out Rainbow Connection first. 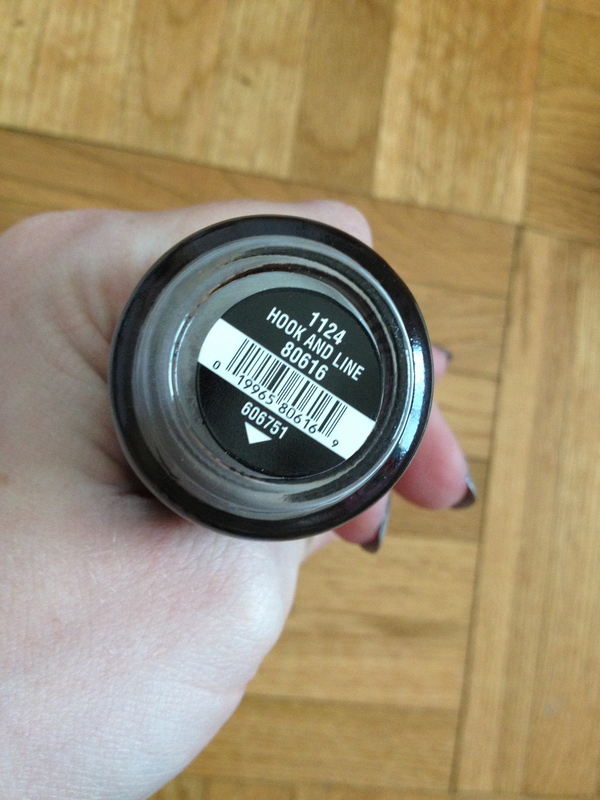 I may have also listened to Kermit singing the song while I applied the polish. I used four (FOUR!) whole coats of the polish because I couldn’t stand to see a single bit of bare nail. Those four coats made my nails inhumanely thick, but I was happy with the result and very pleasantly pleased that they didn’t chip for at least four days. I received numerous compliments on this eye-catching manicure, even from completely random people in the elevator. I wish I had taken better pictures, because these truly were a beauty to see! Oh well, I guess I’ll have to test it out again…darn. 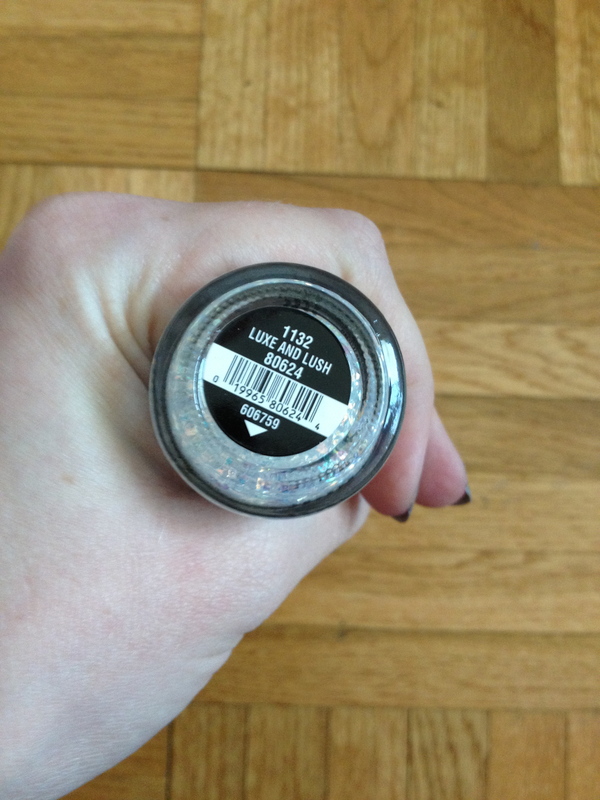 I bought this polish as a present for my mother last Christmas. I ended up trying it myself after she opened it, so we could see what it looked like. I’ve decided that Zoya may be my second favorite nail polish brand (after OPI) because their shades are so creative and colorful! 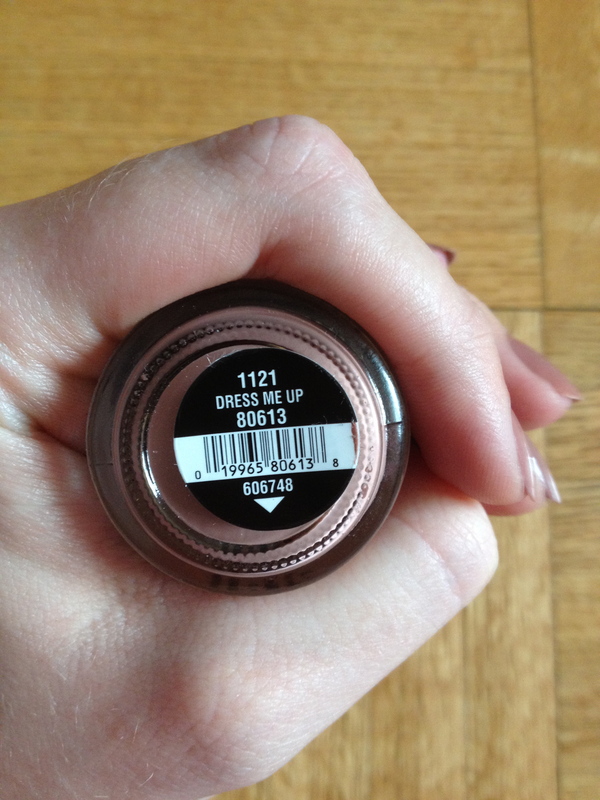 This looked like a fun color in the bottle, but it was even more intriguing on my nails. In some lights it was a simple dark green with a bit of shimmer, and in other lights it was strongly highlighted with gold. It even had a dark blue base that I discovered when I was taking it off. I loved the multiple aspects of the one polish and I hope to be trying more Zoya polishes soon!